There is an extraordinary you at your core. All you have to do is get the ordinary you out of the way by claiming your Twelve Powers at your highest, most elevated level of consciousness. Just imagine being able to live life more fully, more consciously, more masterfully! Just imagine expressing your extraordinary nature in every situation you experience! Just imagine being the best person you can be—no matter what, no matter where! This book shows you how! Based on the Twelve Powers originally described by Unity co-founder Charles Fillmore, this book provides a state-of-the-art, practical approach to understanding and using the Powers every day to master the art of living. In addition to in-depth explanations of the Twelve Powers, the book also includes a describes each Power from four levels of Consciousness, shares scientific research supporting each Power, and provides a section called “Putting It Into Practice that provides exercises to become familiar with using each power in a practical way. 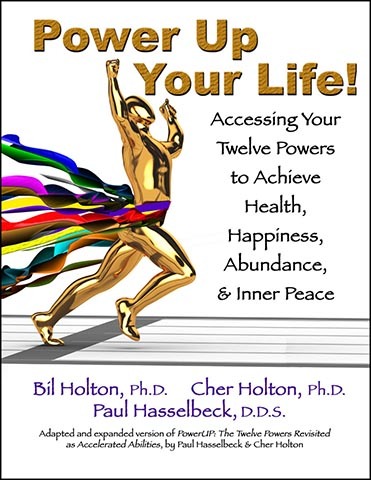 This book is an updated and expanded version of PowerUP: The Twelve Powers Revisited as Accelerated Abilities, by Paul Hasselbeck and Cher Holton, with permission of these authors. Available in digital (PDF) format and soft cover book. Bookstore discounts available.